Gear plays a very important role in roller derby. We strongly recommend that you purchase your own gear as soon as possible. Obviously, safety gear is vital and there is a significant difference between bargain-priced pads in our loaner gear box and more expensive, high-quality pads. Similarly, skate quality will have a dramatic impact on your skating skills. Consider your skates and pads to be an investment, and take care of them! We sometimes have mouthguards available for purchase at practice. However, many different brands are available locally and online. Shockdoctor brand are somewhat expensive mouthguards, but among the highest in quality (you’ll likely want something that heat-molds to your teeth). Also, you can have custom mouthguards made by Gladiator Guards over the internet (they are pricey, but worth it!). Custom mouthguards have a super fit and make it easier to breathe and talk! In general, Reidell R3’s are a good, relatively inexpensive entry-level skate. Reidell Vixens are also a nice, relatively inexpensive skate. Many websites (see links below) offer derby packages of skates and pads. You may find other, slightly higher quality skates in different packages. You should try on other people’s skates to get the best fit. It is very common that new skaters end up buying skates that are too big, which is not good. If you are super eager about getting the best fit, there are skate shops that can measure your foot for the best fitting boot – ask someone if this is something you are interested in. When it comes to skates, you get what you pay for. If you invest in a good skate (think leather interior/exterior, super good fit), it will last you a long time. Plates and trucks are the things that the wheels go on. They come in various makes and models, and are made of different materials ranging from low-end nylon/plastic all the way to aircraft aluminum. Your starter skate will come with plates/trucks and you’ll probably be just fine with what it comes with! When it is time to buy your own plates, if you are lighter weight, you can probably get away with a nylon plate (e.g. Suregrip Probe, Sunlight Zytel). Derby girls with a little more meat on their bones might opt for aluminum plates that support weight better (the PowerDyne Dynapro and PowerDyne Triton are common examples). On the expensive end are PowerDyne Reactor and Revenge (lighter weight). Trucks can be tightened or loosened to adjust for more stability or more maneuverability. Appropriate wheels vary depending on the floor being skated upon. Grippy wheels (“88A”) are good for slick surfaces like concrete, and provide good traction but lose some speed as a result. Harder wheels (93A through 96A) are better for speed but have less traction on slick surfaces, so are good for wood floors. Generally, it’s best to start with grippy wheels and then move to harder wheels as your agility improves. We practice and play mainly on concrete, so we tend to use a “mid-grade” (93A or 94A) wheel. Sure-Grip Fugitives are great starter wheel for either surface. You can also combine wheels with what are called “pushers” to mitigate the stickiness or slickness of a surface by using four of a grippier wheel (88A through 92A) placed on the outside of your left skate and inside of your right skate (so that both sets are oriented to the inside of the track while traveling in a counterclockwise direction) and four of a harder wheel (93A through 96A) on the other side of each skate. An example of this would be two Heartless Stalkers (88A) on each skate as pushers combined with two Heartless Breakers (94A) on the other side of each skate. This gives more traction where you need it, on the inside to the track where we hold most of our weight while skating counterclockwise, but without also bogging you down with a full set of eight of grippy wheels. Wheels are also available in “narrow” or standard widths. You’ll get accustomed to either. Narrow wheels allow for more agility and “quick steps” but lose a little on traction for speed, while wider wheels can be bulky but give the skater more “push” when speed skating. Many of the experienced derby girls are skating on narrower wheels, but they do take a little getting used to. Outdoor wheels are needed for any non-rink skating, such as pick-up games in a parking lot or skating around the Cayuga Waterfront Trail. We don’t do this often, but it is a great way to increase your stamina and strength on skates quickly outside of practice time. You will end up owning several sets of wheels so you are able to skate on any surface. Bearings are also important. Ignore the ABEC ratings you see on many bearings, as this rate applies only to industrial bearings. Ceramic bearings are best, but are very expensive. We recommend Bones China Reds, which are available locally at Zumiez (be sure to buy 2 packs of 8 since they sell them for skateboards which only have one set of wheels, not two like skates), as well as online (they are cheap, reliable, and you can count on them). If you buy expensive bearings, you’ll want to clean them…often. Here’s a handy guide to cleaning bearings. Good pads are crucial. You can get away with cheap wheels, but stay away from cheap pads. We recommend 187 Pro’s, which are expensive but very nice. Other decent derby brands include Pro-Tec and Triple 8. These are all available online (see resources), and rookie packages exist that allow purchase of skates and pads together for a reduced fee. Good knee pads are a MUST! You may choose to upgrade your toe stops from the irregularly shaped type that come with your skates. Snyder brand toe stops, size 1.5 inch, are recommended (you definitely want toe stops, shy away from dance plugs). Toe guards are also a necessary investment as they extend the life of your skate. These can be purchased online (see resources). Some people prefer to put duct tape on their toes to prevent the wear and tear (as opposed to toe guards). Either way, if you protect your skates, they will last a long time! You need one. Make sure you get one. Your head is important and you want to protect it. Make certain that your helmet is ASTM and CPSC certified for trick roller skating. There probably are not many important differences between brands, but you do want to make sure it fits and is comfortable. It should fit snuggly but not be too tight. Hockey helmets are becoming an increasingly common choice as well as the Nutcase model for multiple impacts (besides hockey helmets & Nutcase most other helmets are rated for single impacts). Your skates can be modified to best fit your needs, so be sure to ask a veteran derby girl if you would like to feel more sturdy on your feet. A little hard to stand? Your trucks (the things holding your wheels to your boots) might need to be tightened a bit. Having trouble turning or skating on one foot around the turns? 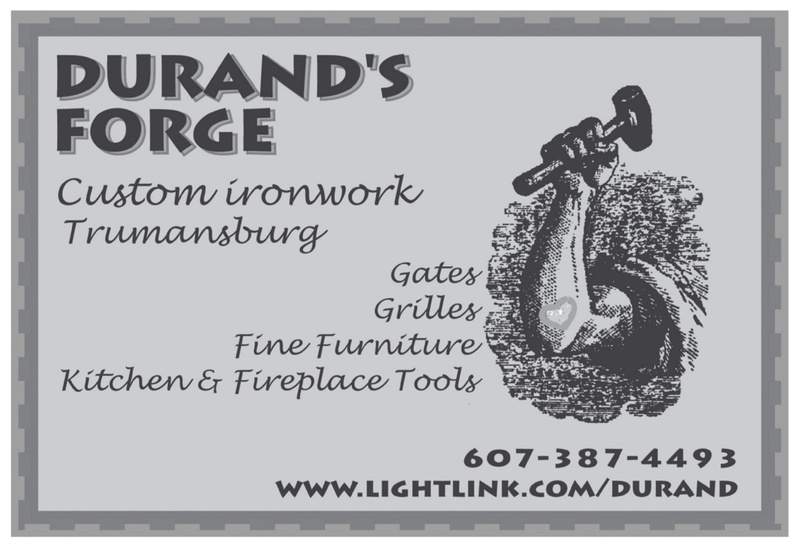 Your trucks may need loosening. Wheels not turning fast enough, too fast? Toe stops dragging or impossible to stand on? There are things we can do to modify your skates, so please ask! Also, there are tons of ways to lace up your skates to be tighter in some places on your foot and looser in others. Here is a good source various lacing options. 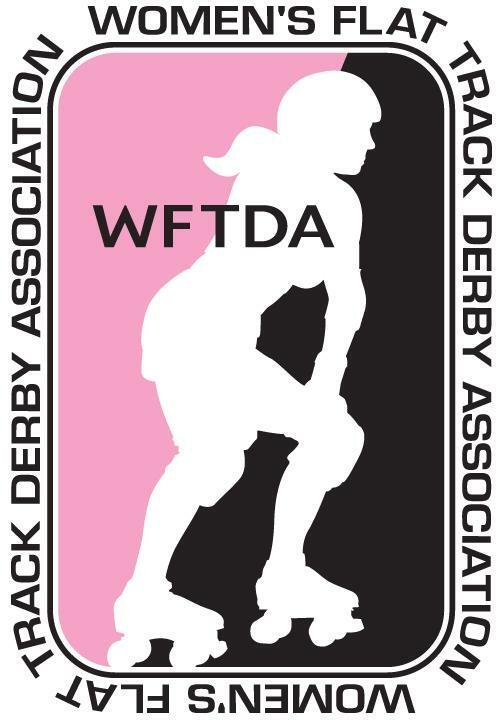 Women’s Flat Track Derby Association (WFTDA) is our membership organization. Your resource for rulesets, news, league profiles, and skills test information. Check out WFTDA.tv for bout archives you can watch! 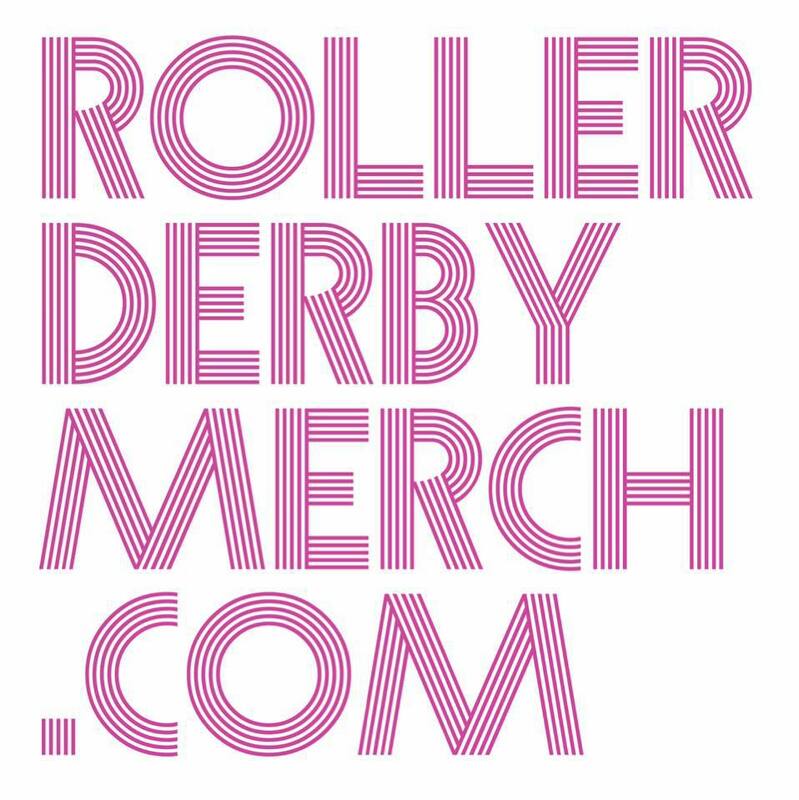 RollerDerbyDepot.com and SinCitySkates.com are two of the places we buy gear. You can find good rookie packages for a decent value, too. If you’re in NYC area and in the market for new skates, you should stop by Five Stride Skate Shop and get fitted. You won’t regret it. IthacaRollerDerby.com – is our official website. There is a calendar, list of events, and other exciting information to be had. Twitter – follow and chat with our league on Twitter!